If you want to keep your house after your divorce, you are taking on a big financial challenge! If you are like most Americans, your mortgage represents your largest monthly expense, and now instead of splitting it between two incomes, you’ll have to find a way to shoulder it all on your own. Still, many women want to keep the house to maintain a stable environment for their children. Your house may also be in a school district you love, close to work, or close to friends and family. If you have your heart set on keeping your house after a divorce, how exactly do you go about taking your husband off the mortgage and putting the house entirely into your ownership? The very first thing you need to do in order to keep your house is to get your spouse’s approval. 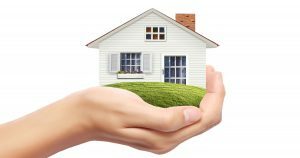 If you and your spouse purchased the house together after you were married, it is likely to be considered martial property. That means your spouse has some entitlement to it. If you live in a community property state, your spouse will be entitled to half of the home’s value. That means that if your spouse doesn’t want you to keep the house, he can likely get a judge to force you to sell it so that he can get his share. You will need to negotiate with your spouse and convince him to give up his claim on the house. Often, this will require you to buy your spouse out of his share of the equity. If you can get your spouse’s approval to let you keep the house, you’ll want to remove him from your mortgage and title. You can do this by refinancing the home in your name only. A refinance can also allow you to pull money from the equity you’ve built in the house so that you can pay your spouse for his share. Unfortunately, getting approved for a refinance can be very difficult for a newly single woman. You will have to prove to a bank that you have good enough credit and a strong enough income to afford the mortgage payments on your own. Most couples purchase a home that is right at the level they can afford collectively with their combined incomes. You may be trying to stay in a home that was only really affordable for you as a couple, not you as a single person. The bank may not grant you a refinance, or you may have to ask your parents or a family member or even your ex-spouse to co-sign. You may also face a higher interest rate if the banks perceive you as a bigger risk and/or if you take out so much equity that you have less than 20% equity in the home. If your heart is set on keeping your home but you cannot qualify for a refinance, one of the only options you have left is to keep the mortgage that you have. This is a risky move. You’ll need to convince your spouse to keep paying his half of the mortgage or find a way to buy him out of his share. If he does agree to keep paying the mortgage (perhaps to ensure his children get to stay in the home), you will be dependent on him. What if he loses his job or gets remarried and wants to buy a home with his new wife? At any time, or for any reason he could stop making payments. If, as a result, you default on your mortgage, you could lose the house, and both of your credit scores will be tarnished! If you qualify for alimony, you may be able to work out an agreement with your husband so that he makes his required alimony payments right to the mortgage company. This can add more reliability to the process, but won’t help you if your husband loses his job, retires, or if he decides one day that he wants to sell the house. Think long and hard before you decide that you definitely want to keep your house after divorce. As we have written about in the past, keeping the house may seem like a good idea at the time, but it could burden you with huge financial expenses that will make it very difficult for you to financially recover after your divorce. It is worth it to see how keeping the house versus selling the house and moving to a lower cost option would affect your financial stability. Consider discussing your options with a financial adviser who specializes in divorce. 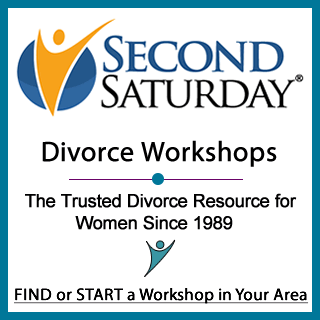 You can find one at the next Second Saturday Workshop in your area. If my husband moved out and I’ve maintained paying the mortgage for the last two years and I entitled to the amount I’ve paid on the mortgage when figuring out how much he will need to be bought out with? You’ll need to discuss this with an attorney familiar with the laws of your state. It is possible that the principal portion of your mortgage payments would be credited to you, but an attorney can tell you what the laws of your state provide. If the house is foreclosed on, and the sales price of the home is not sufficient to meet the amount due on the mortgages, the borrowers on the mortgage may be held responsible for the deficiencies unless the mortgage said it was a non-recourse mortgage. I have been divorce for 7 years and my husband is still living in the house we finance together. How can I get my name off this house; so I can purchase my own home? You could quit claim the house to him by filing a quit claim deed with the courthouse. But if your name is on the mortgage and that’s what you want your name off of, then he’ll likely have to refinance the home into his name alone. Check with the lender to find out their requirements. But if your divorce decree says he is to get the house and make the payments and he has been doing so for more than a year, a mortgage company will usually disregard the fact that your name is still on the mortgage for the old house when qualifying you to buy a new home.